In addition to the vast selection of Italian and Mediterranean favorites, the resort’s elegant poolside restaurant serves up a sure hit for all the lobster lovers. 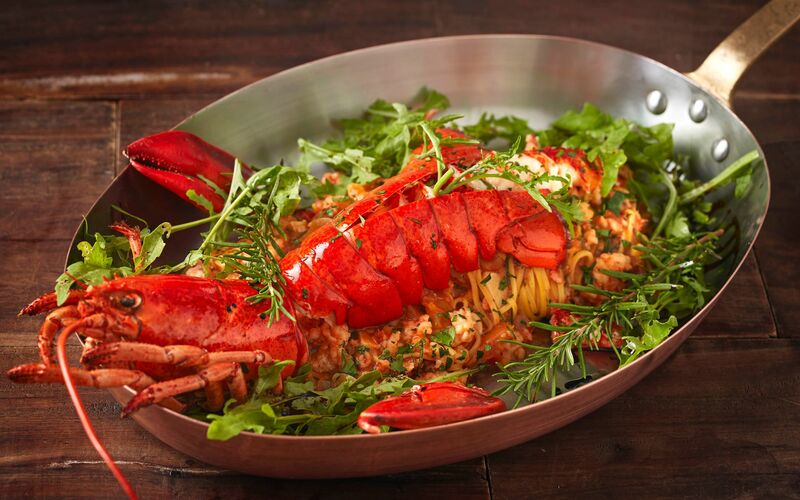 Acqua gives a twist to the usual as their steamed pacific lobster has mouthwatering favorites like handmade spaghetti and prawn ragout which is then carefully drenched with lemon scent and light tomato sauce. Of course the meal will not be complete without zesty pairs. The set menu also includes a platter of Mediterranean salad and 2 choices of desserts. Good for 2 persons, this isn’t just a meal. It’s a lobster feast! The Lobster Set Menu at Acqua is available daily, during lunch at 12 noon to 2:30 p.m., and dinner from 6:00 p.m. to 10:00 p.m. for only Php 4,015++. For inquiries and reservation, please call Restaurant Reservations and Information Center at (63 32) 231 0288 or email fbreservations.mac@shangri-la.com.